With Easter Sunday family time and luncheons and brunches right around the corner, I wanted to share one of my favorite potluck dishes perfect for the springtime table… Classic Southern Deviled Eggs. I first published this post way back in April, 2017, but wanted to share this simple, perfect recipe again with all of you. I have never made a deviled egg. In truth, it’s because I don’t eat them. I am not a big wiggly egg fan (unless they are farm fresh and scrambled hard) or a fan of pickles or mayonnaise, which pretty much counts me out for the whole Deviled Egg experience. But my loved ones love deviled eggs and it was a personal request from Dad & his brother, that Mom and I make a couple dozen for the family Easter table this past weekend. And, I love the challenge and adventure of trying a new recipe, but not too difficult of one, so I was all in! I made a version from Southern Living Magazine, a longtime trusted recipe source of mine, and, if I do say so myself (and I do! ), they were a hit and every bit as delicious as promised! After hard boiling and peeling your eggs, chill your eggs at least 1 hour, or overnight. Which is exactly what I did. Slice eggs in half and place egg yolks into a separate bowl. They slice so beautifully when they are this cold and firm. Be sure to use a really sharp knife and wipe down the blade a few times so you get nice, clean cuts… It won’t be perfect, but it will be homemade and delicious! Mix the yellow part with the mayo, pickle relish, mustard, salt, and pepper and mix until thoroughly combined and creamy. Spoon or pipe or dollop (everyone has their own method) the creamy egg yolk mixture back into the egg white cups. Sprinkle with paprika, if desired. And of course, I couldn’t resist a little paprika garnish! Just look how that bright red dusting makes them pop! Isn’t it amazing how much more appealing they look afterwards? Plus, it’s a classic look. Refrigerate the eggs until ready to serve. I think you will enjoy these, and if not for an Easter or spring celebration, than any other day. They are a great for summertime picnics, a great snack to keep in the fridge when hunger strikes, or even as an appetizer on a random Tuesday night. OK, OK. Yes, that title is a tad dramatic, but don’t you have those products you love, you swear by, and you insist are making all the difference in how you look and feel?!? Those products that you *know* you could live without, but don’t really want to ?!? I have those too! And I am spilling my bathroom-shelf-beans & sharing them all with you! So, let’s start up top with hair products… Because we all know a good day is made great when you have a great hair day! Sounding more like a toy than a shampoo product, I absolutely love my NouNou! This rich and full-bodied shampoo lathers up like a dream and delicately cleanses hair with Italian Fiashetto Tomato (of all things) leaving hair soft and hydrated. My hair loves this stuff and my washes go so much further than before. Plus, my hair is bouncy, shiny, and volumized. I have long been a purveyor of dry shampoo and this just might be my favorite that I have ever used! Gives my limp or slightly oily hair just enough dryness to counteract the day’s effects and gives such body and bounce to my 3 or even 4 day old style! Just be sure to hold 6-8 inches away from your scalp and spray directly onto the root of the hair for best results. For that perfect sheer wash of color on eyes, cheeks, or lips, try all-natural Olio e Osso balms! I carry this stuff with me everywhere I go! Watch this great introductory video below to learn even more about why I love this product so much. A great multi-use product that feels just as good as it looks. For color recommendations, Mom wears French Melon and I wear Crimson. You see, I have had skin problems all of my life. Hormonal acne has been my nemesis since young adolescence and I would often get such hard knots on my forehead or chin that I would to go to the dermatologist for an injection just to be rid of the breakout. And, with my being so fair, my face holds onto pigmentation for months even after the breakout disappears. I have tried almost every product in the book, even those that are heavy-duty and prescription strength as recommended by my dermatologist. And while, yes, I will admit that it did help hinder future breakouts, it often took my entire top layer of skin right along with it causing my face to itch, burn, or even scab. Enter Vintner’s Daughter. This serum is a powerful, multi-correctional face oil infused with 22 of the world’s most nutrient-rich botanicals. I use just 3-5 drops on my face nightly and my skin is glowing and almost has an iridescent quality to it, those pesky breakouts come to the surface far more easily, go away more quickly, and it is helping to minimize the hyper-pigmentation that sticks around. I know that this product is expensive and I would certainly categorize it as an “investment” in your beauty routine, but it lasts a really long time and it has my highest endorsement. This product was revolutionary and absolutely life-changing for me. A girl can conquer just about anything that comes her way throughout her day with a great concealer and highlighter! This is a very sheer, light-infusing concealer that brings out or enhances your natural, beautiful glow while subtly correcting any skin flaws or hyper-pigmentation. If I put on nothing else, I always swipe on a few smudges of this MagicLumi concealer under each eye and dab on top of any blemish I may have followed by a swipe each of black mascara and lip color before I am out the door. 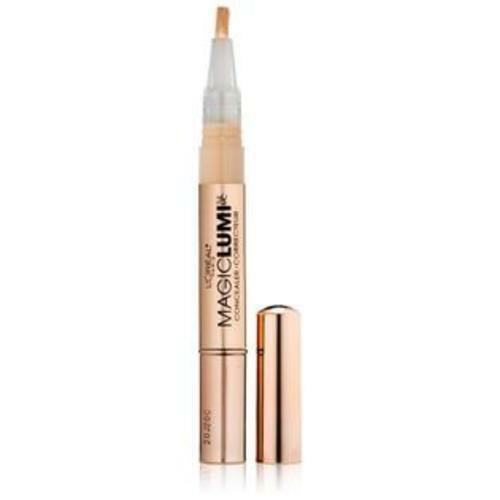 Who wouldn’t want to enhance your face with even more light?!? It’s an absolutely no-brainer for me. All hail a clean, organic, vegan mascara! Recently named to Glamour Magazine’s Best of 2018 Beauty, and I can certainly understand why. It gets my vote time and time again! 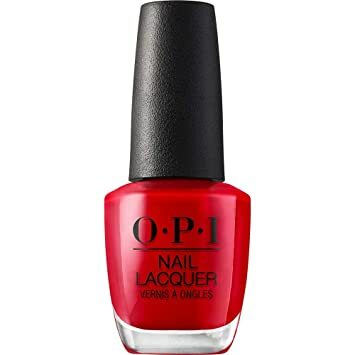 If I could only paint my nails one single shade for as long as I live, it would have to be Big Apple Red by OPI. In fact, I am looking down at this shade even now as I type this post. It is my quintessential go-to shade for both fingers and toes. It is the perfect shade of red, is super shiny, and very luxurious. And the best news? It is virtually at any nail salon, Walgreen’s, CVS, Target, or Wal-Mart. Swing by one and grab a bottle for yourself today.